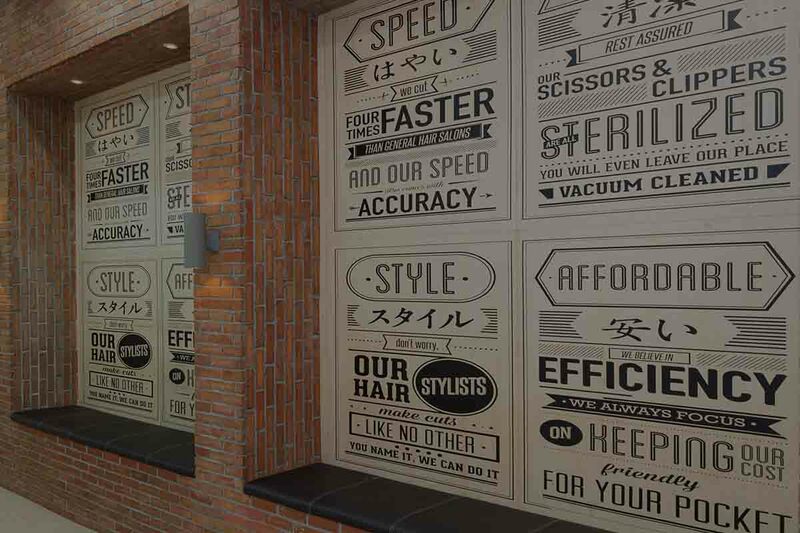 Kaizen is a modern barbershop with Japanese concept, which focuses on serving the need of haircutting for its customers. What is the meaning of the word “Kaizen”? The word “Kaizen” is originated from a Japanese word. “Kai” means changes, and “Zen” means continuous. When combined, it refers to the meaning of “continuous improvement”. When were Kaizen first established? Kaizen was first established in 2004 at Plaza Setiabudi One, South Jakarta. Where was the Kaizen concept originated from? Our concept was originated from Japan, where the service is focused on speed, practicality, and the cleanliness when serving the basic haircutting need of our customers. What are the vision and mission of Kaizen? 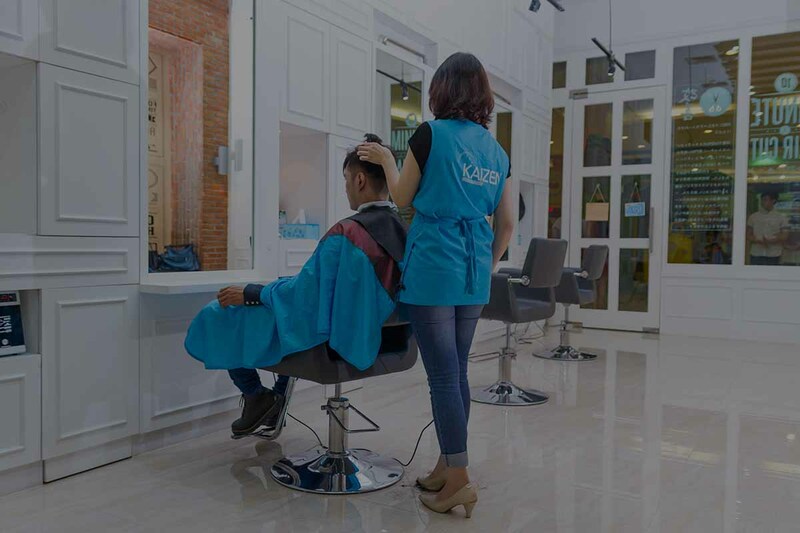 Our vision is to make Kaizen the first barbershop to go public and be listed in the Indonesian Stock Exchange, and also penetrating the International Market. Our mission is to be the Top-of-Mind brand when it comes to haircut. So, whenever people think about haircut, they will immediately think about Kaizen. What are the bases of the Kaizen service? Style – We provide the most up-to-date hairstyles. You name it, we can do it. What differentiate Kaizen from the other barbershops/salons? Besides the combination of our 5 (five) pillars above, Kaizen doesn’t provide hair washing. 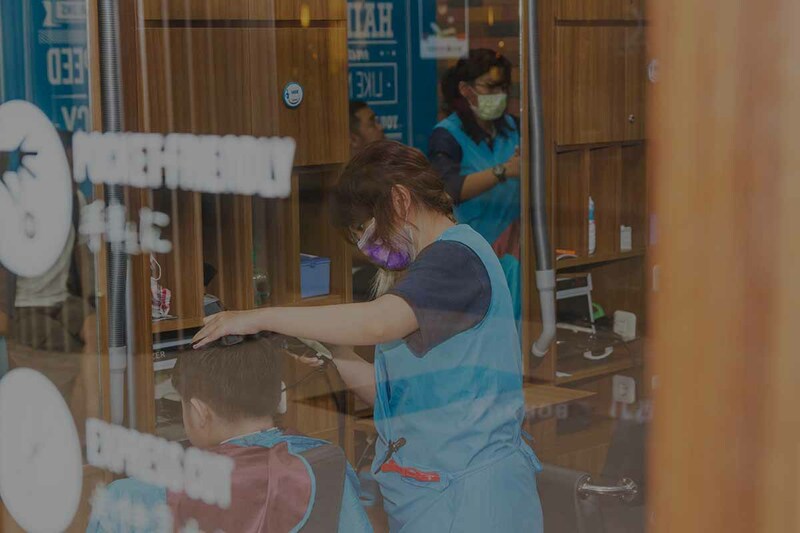 After finish cutting, the remaining hair will be cleaned by using an airwasher, so the customer need not to wait too long for washing and drying their hair, and can directly go on with their next activity. Does Kaizen provide any other services aside from haircutting? For now, we focus solely on the haircutting service. Therefore in Kaizen, we do not offer other services like hair treatment, hair coloring, make up, and so on. Where are Kaizen outlets located? Kaizen currently has around 40 branches spread across the big cities in Indonesia, like Jakarta, Tangerang, Bekasi, Cirebon, Cibubur, Karawang, Bandung, Bali, Batam, and Surabaya. Does Kaizen provide haircut service for women and children? Absolutely. Although the majority of our customers are men, but we offer the service for women, kids, children, and senior citizens alike. What are the differences between Kaizen Gold & Kaizen Xpress? Basically speaking, Kaizen Gold and Kaizen Xpress have the same concept and service. The differences lie in the locations and the price of a haircut. Kaizen Gold are located inside malls, shopping centers, and meeting points, while Kaizen Xpress can be found in the like of residences, apartments, and in the roadside stores. As for the price, the price range per cut in Kaizen Gold is around IDR 35000 to IDR 50000, while in Kaizen Xpress the price ranges from IDR 15000 to IDR 30000 per cut. What plans do Kaizen have in the future? Aside from continuously improving our services, Kaizen also plans to reach more cities, serve more customers, and enter the International Market. Does Kaizen open for franchising? Kaizen is open for licensing for those of you who are interested in becoming our business partner. For more details on licensing, ring our office at 021-3907441, and our team members will assist you.